Located in Doda district in the state of Jammu and Kashmir, Bhaderwah is situated on the foothills of the middle Himalayas. 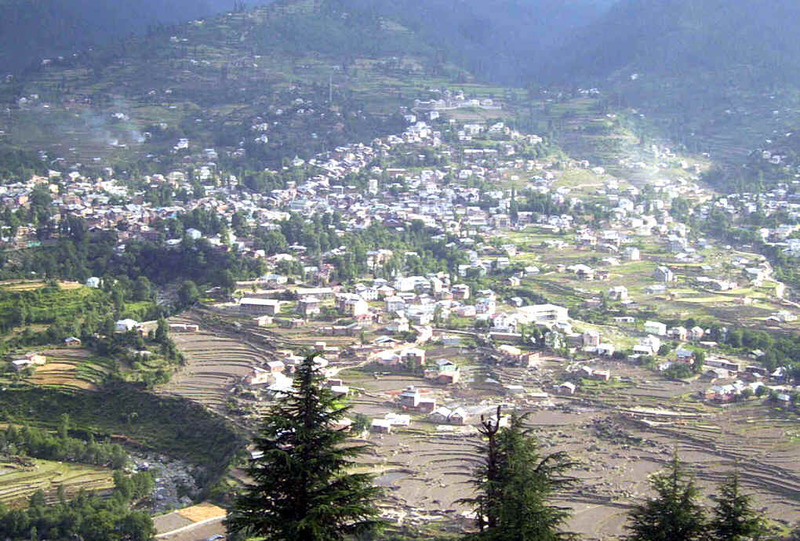 It is mainly a mountainous town situated 80 km from Batote. The town of Bhaderwah is blessed with natural beauty as it has beautiful forests and a number of streams flowing through various parts of the town and the Halyan river flows through the main market of the town. 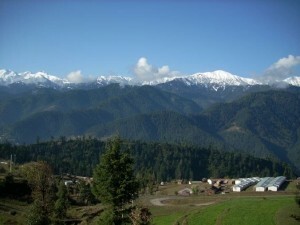 Due to the picturesque locales that Bhaderwah offers, it is popularly known as ‘mini Kashmir’ and the ‘queen of hills’. 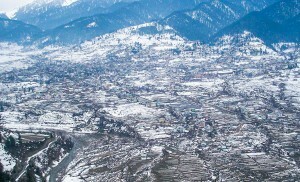 Bhaderwah is surrounded by the Kishtawar hills on the north, Chamba on the east, Basholi area of Jammu near river Ravi on the south and Chenani area of Udhampur district on the west. Locally, Bhaderwah is called “Nagon ki Bhoomi’ meaning the land of snakes. In fact, Bhaderwah has a long history and a handful of rulers have ruled this state after conquering it from their predecessors. It has also been a witness to several revolutions and wars. Bhaderwah is also a cultural melting pot with Kashmiri Pandits , Wazirs, Kashmiri speaking Muslims , Gaddis, Thakkars, Kotwals, Mahajans, Khatris from Punjab, Chib and Manhas Rajputs , Parihars, and Bhaderwahi speaking locals of other tribes and castes living in this town. It is widely speculated that when there is turbulence in Srinagar and tourism and sightseeing are put on hold, people instead prefer to visit places of interest in and around Jammu. And Bhaderwah is one such place that finds favor when visiting Srinagar is out of question. Bhaderwah is a small town and as such has decent hotels. The town of Bhaderwah is dotted with numerous temples and important pilgrimage sites, with Vasuki Nag, being the main deity. There are four Vasuki Nag temples. The first Vasuki Nag temple of Gatha has two idols namely Naraj Vasuki and Raja Jamub Vahan. 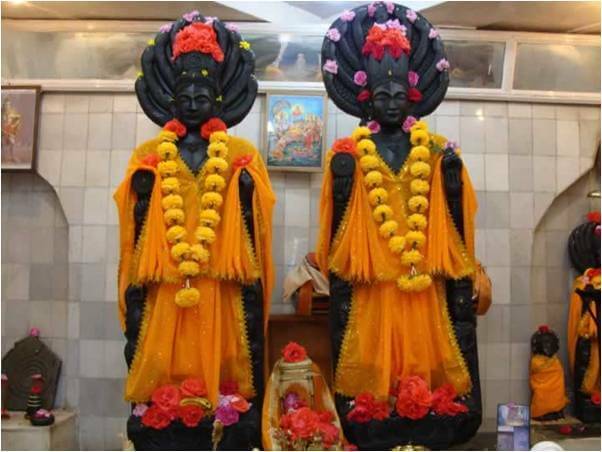 Both these idols are made of black schist. This temple is an amazing specimen of art and sculpture. On the banks of the Neeru river, a Siva temple can be seen which is made under natural stone slabs. In this temple, you will find the footprints of Bhima, one of the Pandava brothers on a rock. The other three Vasuki Nag temples can be seen at Nalthi, Bheja and Nagar Bhaderwah respectively. Between the Chinta Valley and the Shitala Mata Roshera, you can see another old temple of Shitala Mata, that is situated on a slopping hill top. This temple is a sacred spot for mundan (head-shaving) in this area. A Dharmsala has been constructed here for the pilgrims and devotees for night-stay. The religious minded tourist can also visit a newly renovated temple dedicated to the Goddess Chandi in the Chinote village and a Durga temple in Raushira. While the Chandi temple is locally known as the Chandi Mata mandir, the Durga temple is located in the less explored Chiralla area. Each year Bhaderwah witnesses some of the world-famous yatras. These yatras bring together devotees from across the country and the world too. Such yatras are considered to be extremely pious for Hindus and hold a special place of importance much like the Haj pilgrimage does for a devout Muslim. The yatras that pass through Bhaderwah are the Trishul Bhaint Yatra and the Machail Yatra. The former yatra comes to Bhaderwah from Doda on July 3rd and the latter comes on August 18th. The Machail Yatra starts from Chinote in Bhandarah and goes to Machail in Paddar region of Kishtwar. At the north east of Bhaderwah, one can find the Ziyarat Bangla Nallah and it is believed that after a villager makes an offering here, the animals owned by him or her is cured of the mouth and foot disease they were suffering from. The Rattangarh or Bhaderwah fort is another interesting place to visit. The fort was built in 1733 and was turned into a jail in 1919. It was vacated in 2009 by the jail authorities. Presently, the fort is being renovated to turn it into a tourist spot. Other notable places that you can visit when you are in Bhaderwah include Chinta valley, Jai valley, Seoj meadow, and Padri. The valleys of Chinta, Jai and Seoj are beautiful meadows that abound in natural beauty. Nature lovers can lose themselves in the breathtaking scenery of these places while adventure sports lovers can enjoy plenty of adventurous activities s in these areas. 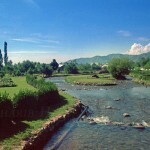 In Padri, there are numerous picnic spots where you can enjoy a day’s outing amidst the nature. Interestingly, almost every household has a fruit orchard in its backyard in Bhaderwah. You can predominantly spot apple, apricot, peach, plum, and pomegranate trees in this town. Though lesser known in the tourism industry and tourists, Bhaderwah is a beautiful town mostly unexplored. If you love nature, history or are of a religious mind and prefer to visit a place that is devoid of crowd and is not too commercialized, then probably Bhaderwah is a destination that might appeal to you a lot.